There are very few purple plants to be found in nature, and thus if you are to eat a true rainbow diet, this purple corn flour is a helpful and tasty addition. This product is created by drying and then milling the purple corn kernels. The flour is great for use wherever you'd use wheat or other flours. Try substituting one third of purple corn flour to two thirds of normal or wholegrain flour in any recipes. 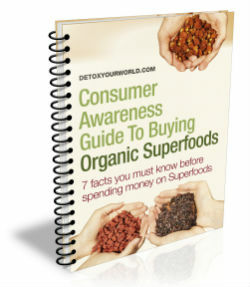 It's also great in raw chocolates, raw breads and mixed into flax crackers. Purple corn, a variety of Zea mays, is an Andean crop from low valleys locally called maiz morado. Purple corn can be found mostly in Peru, where it is cultivated in the coast, as well as in lands almost ten thousand feet high. There are different varieties of purple corn, and all of them originated from an ancestral line called “Kculli”, still cultivated in Peru. The Kculli line is very old, and ancient objects in the shape of these particular ears of corn have been found in archeological sites at least 2,500 years old in places in the central coast, as well as among the ceramics of the “Mochica” culture. Purple corn contains substantial amounts of phenolics and anthocyanins, among other phytochemicals. Its main colorant is cianidin-3-b-glucosa. People of the Andes make a refreshing drink from purple corn called "chicha morada" which is now recognized as a nutritive powerhouse due to its phenolic content. Phenolics are known to have many bioactive and functional properties. Research shows that crops with the highest total phenolic and anthocyanin content also have the highest antioxidant activity. Anthocyaninins are a type of complex flavonoid that produce blue, purple or red colors. Under UK law, we are not allowed to tell you anything about what anthocyanins do. We encourage you to look on the Internet for some really exciting information. Purple Corn has higher antioxidant capacity and antiradical kinetics than blueberries and higher or similar anthocyanin and phenolic contents. Detox Your World supplies pesticide-free purple corn as cob kernels, ground food powder and an atmomised purple corn extract powder with 6% anthocyaninin concentration. Storage: Store in a cool and dry place and avoid excessive exposure to heat, moisture and sunlight. 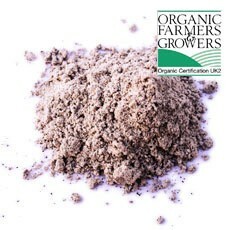 I reviewed the cacao powder to add to gravies with purple corn flour amazing & nutritious my family love it! You have to try it!